In 1975, Mary Higgins Clark's first suspense novel, Where Are The Children?, was published by Simon & Schuster. It quickly became a bestseller, and is now in its 75th edition. To say that it changed Clark's career would be an understatement. She has written 24 suspense novels, 3 collections of short stories and a memoir. Her novels have sold over 80 million copies, in the U.S. alone. 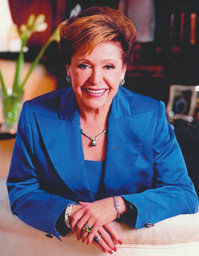 Alongside her 18 honorary doctorates, Simon & Schuster also sponsored an annual Mary Higgins Clark award to be given to new suspense fiction writers. Clark lives in Saddle Ranch, New Jersey with her husband.